This sounds like an intriguing book, Diana. I have never been to Alaska, but know several people who live or have lived there and love it. 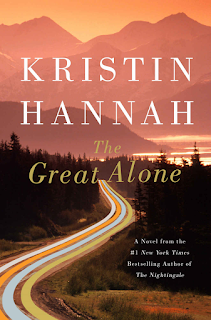 It sounds like the descriptions of the beautiful Alaskan scenery alone would be worth the read. I have been to Alaska and can share that it is spectacular. I would move there in a heartbeat. I have always wanted to visit Alaska, but have never had a desire to move there. I already know I couldn't handle the long, dark winters and definitely not the isolation. 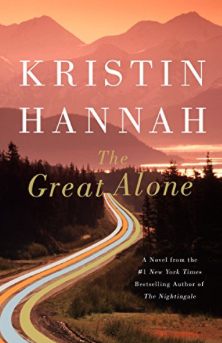 It sounds like a great book though and I'm sure I would enjoy living vicariously through Kristin Hannah for the short time it would take to read the book. I can't even imagine the emotional difficulties a prisoner of war would face when returning home. My heart is already breaking for Ernt and his family. I'm not sure I could handle all of that great darkness, either. Few can deal with it. Ernt's story, sadly, is not unusual for those who are tortured by what they experienced in Vietnam (or other war settings). It is beyond heart-breaking and the families suffer right alongside the returning soldiers (and often without the power to bring healing to those wounded spirits). Once again you write a most compelling review of a book. I've never been to Alaska my self but, Fran has been there and loved every minute of it. We still look at the pictures she took from years ago. Based on your review the book is a must read. Thanks. I encourage you to give yourself the great pleasure of a trip to Alaska. It is the adventure of a lifetime. This book sounds like exactly my cup of tea. Adding it to the very top of my to-read list. Thank you for this review. I thought the same thing. You came to mind when I imagined who might be the first of my review visitors to read this book.